Ward 4 | Park View, D.C. Yesterday, the Historic Preservation Office (HPO) released their Ward 4 Heritage Guide, which is available in electronic format only (click on image below). I know that HPO is currently working on the Ward 1 guide as well. 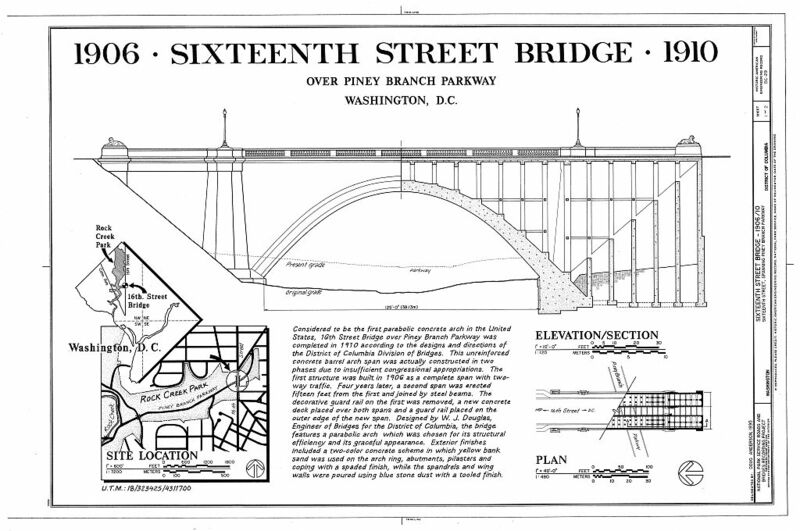 Following on the release of Heritage Guides for Wards 5, 7, and 8, HPO’s new Ward 4 guide identifies historically and culturally important places in the uppermost part of northwest Washington, D.C. The guide describes sites of cultural importance to Ward 4 residents and visitors and describes the preservation challenges unique to this ward. Through the guide, HPO hopes to foster stewardship of the ward’s heritage by facilitating initiatives to promote, preserve, and reuse the ward’s significant historic resources. Ward 4 is home to the city’s oldest church and cemetery, several early roads and crossroad communities, and was the site of Washington’s only Civil War battle. 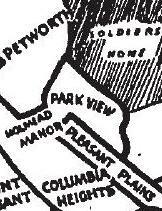 In the later 19th and early 20th centuries, Ward 4 provided housing in a number of beautifully laid out streetcar and, later, automobile suburbs. Historically home to substantial African American and Jewish populations, the area features businesses, recreational opportunities, places of worship, schools, and other facilities historically associated with its diverse communities. This Heritage Guide provides a framework for developing strategies to promote and protect the historic resources of Ward 4 and to ultimately enhance economic development, community stability, and quality of life for residents. Here’s something that might present a tough choice for many — not only is there a joint 3D/4D police meeting on Wednesday but a meet and greet with Councilmember Bowser has also been scheduled for the same date and time. This Wednesday, November 20th, Councilmember Muriel Bowser will be joining members of the neighborhood for a happy hour! It is intended to give members of the community a chance to talk to her about area issues (such as crime) and see what measures she would take if elected. Does Georgia Avenue need a Business Association? Ginia Avery, of Ginia L. Avery & Associates, a marketing and advertising firm, certainly thinks so. Avery has been working to organize small businesses on Georgia Avenue north of New Hampshire Avenue for some time. At the March 23, 2011, meeting of the Georgia Avenue Community Development Task Force (GACDTF), she came to encourage those in lower Georgia Avenue to join. Avery has continued her involvement in the GACDTF in the hopes a Business Association would take root. Enter Jeremy Gifford. Gifford is currently renovating the former Huron Pharmacy building at 3628 Georgia Avenue in order to bring a new neighborhood eatery to the area. 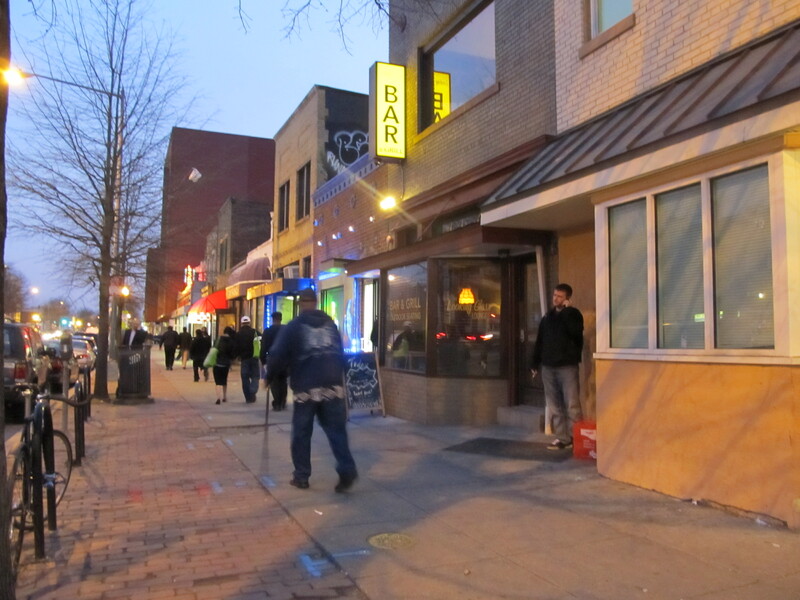 He, too, believes that a Georgia Avenue Business Association would be an asset for the commercial corridor. A resident of Bloomingdale, Gifford values communities and understands the importance of being actively engaged in them. These days, you’re likely to bump into him at any number of community meetings, whether they be ANC, civic association, or the GACDTF. As fate would have it, Avery and Gifford finally connected at the October 26, 2011, GACDTF meeting and Gifford jumped at the chance to become involved. As he sees it, Georgia Avenue is one project and should have a solid master plan from Maryland to Florida Avenue. Recognizing that that is an impossibly long stretch of road, he suggests that perhaps an association could be structured with task forces or subgroups that focus on particular areas of the avenue. While the new organization is still in the early stages of forming, the idea of a business association is not new. 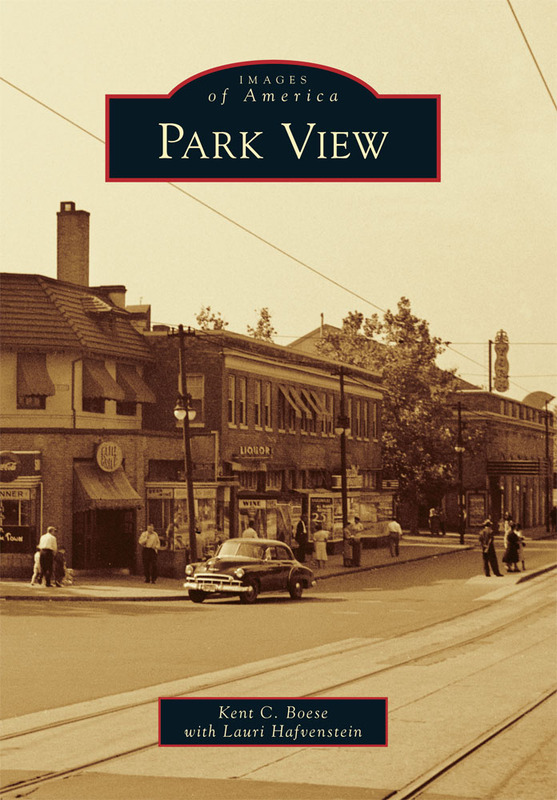 During the first half of the twentieth century much of lower Georgia Avenue was served by the Park View Business Mens’ Association. Neighborhoods further north had similar organizations. Later, the Lower Georgia Avenue Business and Professional Association was an active presence in the 1980s and early 1990s. But such an organization has been absent from lower Georgia Avenue for over a decade. In following up with Gifford after the meeting, he stated that his “gut tells [him] there will be pockets of business that want to get involved” initially. To keep the momentum going, and to help form the organization, Gifford has offered to be the point of contact for interested business owners, who can reach out to him via email. 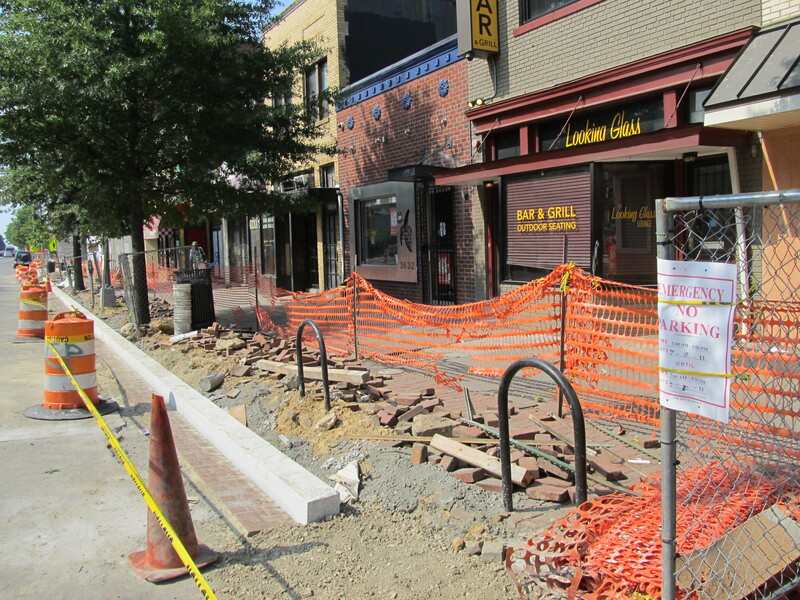 Ever since the Washington Business Journal published on August 10th that Mayor Vincent Gray intends to reprogram the remaining $1.44 million from the Georgia Avenue Great Streets project to help finance the overhaul of 2850 New York Ave. NW for the Metropolitan Police Department the move have drawn opposition. From the start, Councilmembers Jim Graham and Muriel Bowser issued a resolution protesting the reprogramming of the Great Streets funds. Residents along Georgia Avenue were also none to happy. One of the more active protesters is Lower Georgia Avenue resident Sylvia Robinson who developed a petition that has already received 400 signatures. 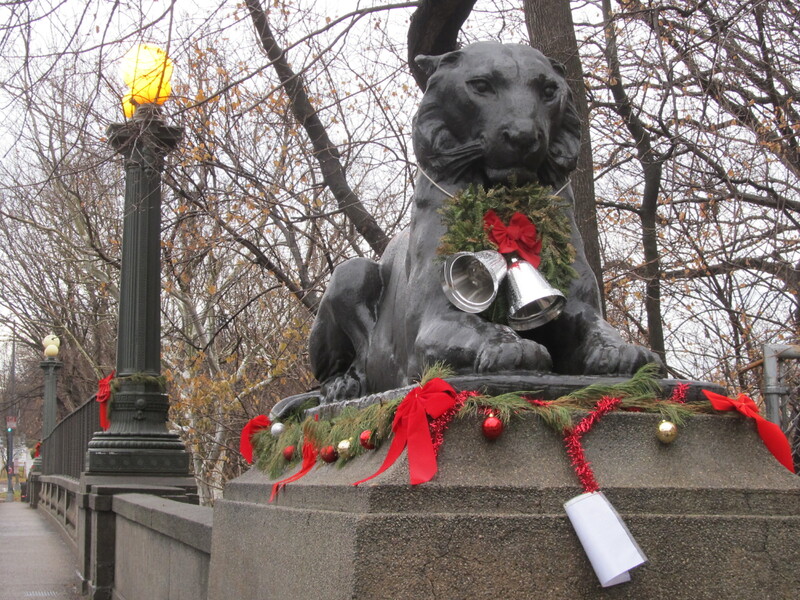 Advisory Neighborhood Commissions aren’t sitting idly by either. Both ANC 1A and ANC 4C are also drafting resolutions in opposition to the Mayor’s hoped for reprogramming (draft 1A resolution here). But opposing the movement of $1.44 million is a drop in the bucket from what Georgia Avenue needs. One need only look at the Middle Georgia Avenue Great Streets project to get a sense of how much money is needed to renovate the remaining Ward 1 and Ward 4 sections of Georgia Avenue. The Middle Georgia Avenue project is currently about three quarters completed and has an estimated cost of $7,906,624.05. The scope of this project is from Webster Street (north) to Otis Place (south) and began on May 17, 2010 — making the duration of actual construction for the section around 16 months. Similar investment is surely needed in both the lower and upper sections of Georgia Avenue. While saving and protecting the remaining $1.44 million in Great Streets funding is an important first step, without a firm commitment from the entire D.C. Council and the Mayor to support and fully fund the remaining sections of Georgia Avenue and make it a priority, the last million and a half in the pot for Georgia Avenue is not likely to make a visible impact. According to an article the October 13th Washington Post, the push to use the property at 1125 Spring Road as a temporary homeless shelter is no longer under consideration. At a hearing last week, DHS Director Clarence H. Carter said that the agency searched for an alternative location to shelter families and that the best facility was at 1125 Spring Rd. NW, a former Hebrew home for the aged and more recently a mental health center. It would have cost an estimated $800,000 to renovate the building for 75 families, roughly what it would have cost to add on to the D.C. General shelter. But the Spring Road building has since been removed from consideration, Carter said during the hearing. Council member Muriel Bowser (D-Ward 4) said her community already contains an “inordinate amount of group homes,” and Spring Road already has two homeless shelters on it: a men’s transitional shelter and an 88-room family shelter. “How could a government agency ask people in a two-block radius to support three homeless shelters?” Bowser said. The issue of homeless shelters has long been an issue important to residents of Columbia Heights, Petworth, and Park View. A recent proposal by Tommy Wells, Ward 6 Councilmember, who is pushing to have a temporary homeless Shelter opened at 1125 Spring Road, NW, is sure to be no exception. Residents familiar with the property may recall that it is the large structure once used as the Hebrew Home for the Aged. The property is on the north (Ward 4) side of Spring Road, which is the boundary between Wards 1 and 4. Residents that are aware of this initiative are resisting the proposal. While advocates for the homeless are attempting to accuse residents as NIMBYs, community resistance is based on the area already supporting an inordinate amount of group homes and other services. Additionally, there are two facilities on Spring Road within two blocks of 1125 that currently support the homeless. One is a Men’s transitional shelter and the other is a Family Shelter. Together, both provide 88 units of shelter. 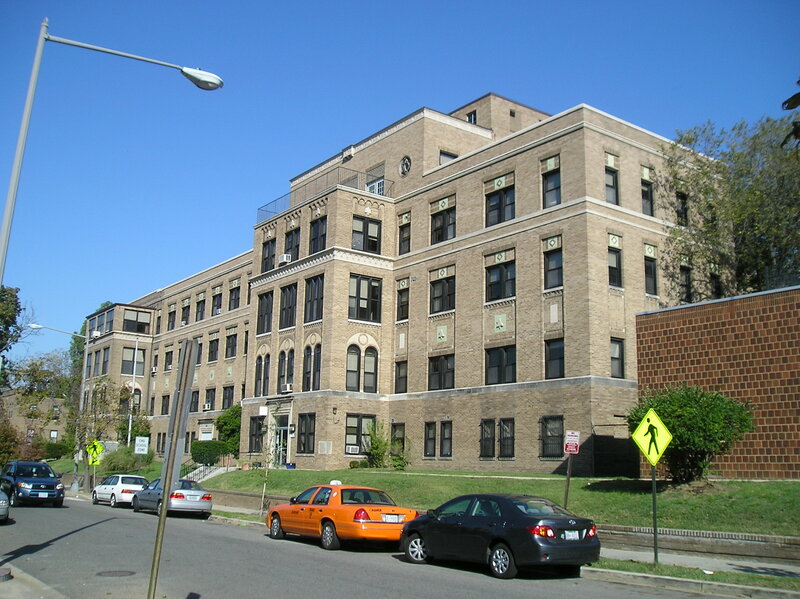 Due to the proximity of the Spring Road site to the Georgia Avenue-Petworth Metro, its impact on the Georgia Avenue community could be similar to that of the Central Union Mission shelter once proposed for Newton and Georgia Avenue. The Central Union Mission proposal meet with community opposition that ultimately led to the mission finding an alternative site. To date, its been reported that there has been no outreach to the community. To remedy this, Ward 4 Councilmember Muriel Bowser is working to set up a meeting with the Interagency Council on Homelessness to examine this proposal. Several community leaders are of the opinion that DC General is a campus better suited to serve the needs of the homeless. At the heart of the issue is the future use of the 1125 Spring Road site. The city had previously promised to put out an RFP to transform the building into affordable housing, preferably for seniors. With Ward 4 having one of the largest senior populations in the District of Columbia the community wants the city to live up to that promise. The Hebrew Home for the Aged moved out of the city in 1969, selling the property to the District of Columbia. It’s currently assigned to the DC Department of Mental Health.